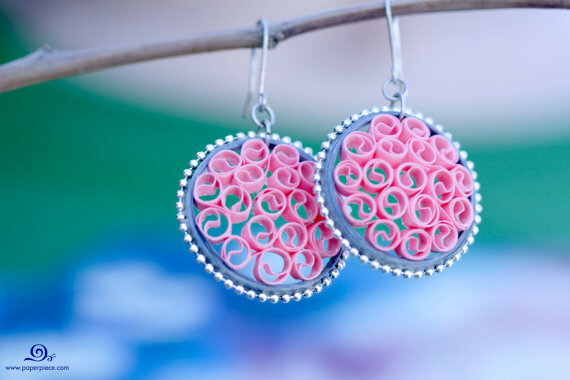 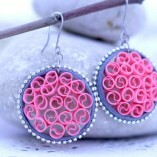 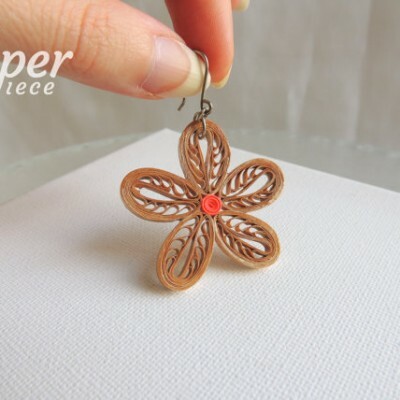 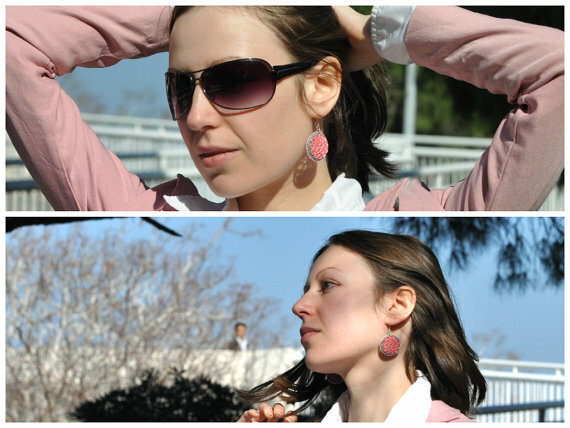 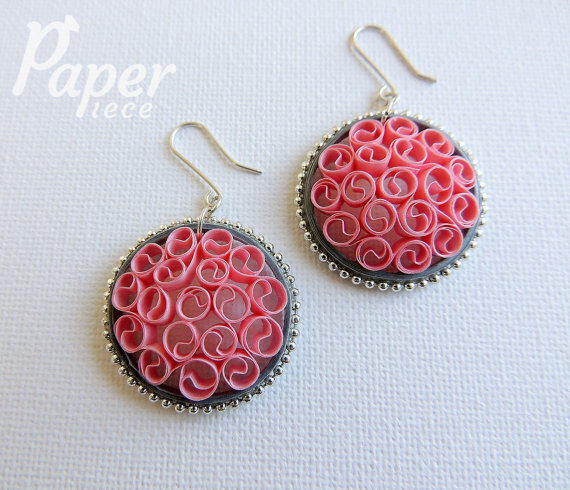 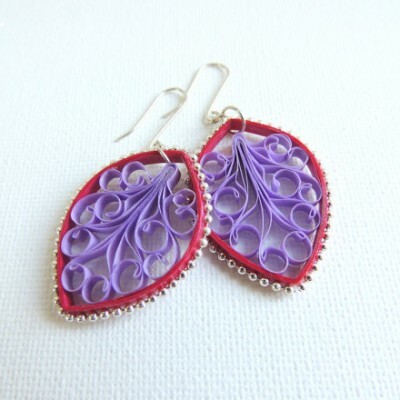 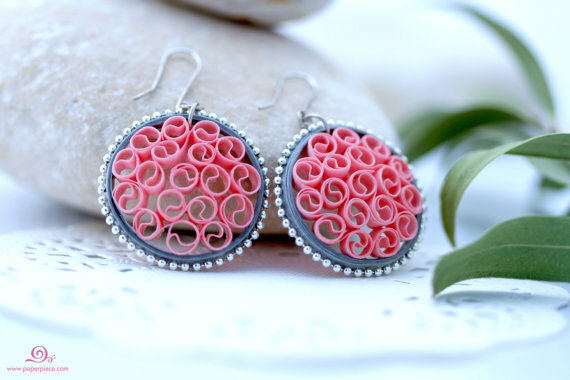 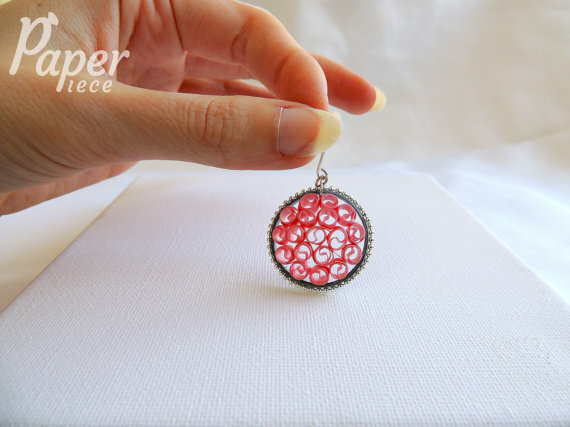 Pink earrings – handmade eco friendly earrings from paper and sterling silver using unique filigree technology from Renaissance period. 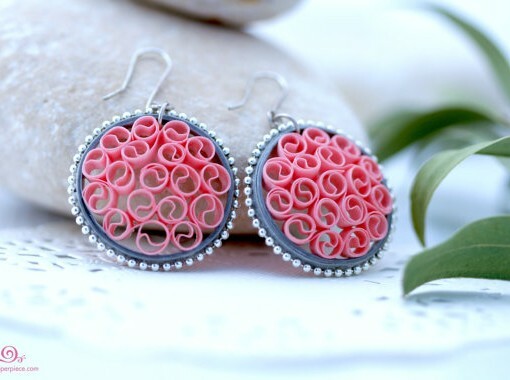 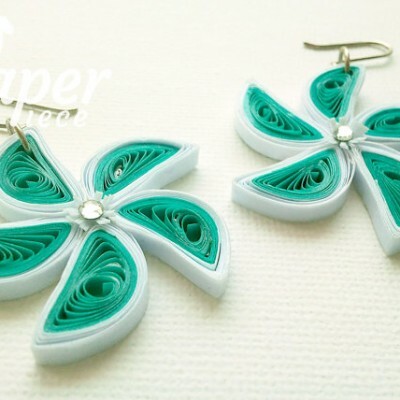 It will be very unique and fashion gift for her Birthday. 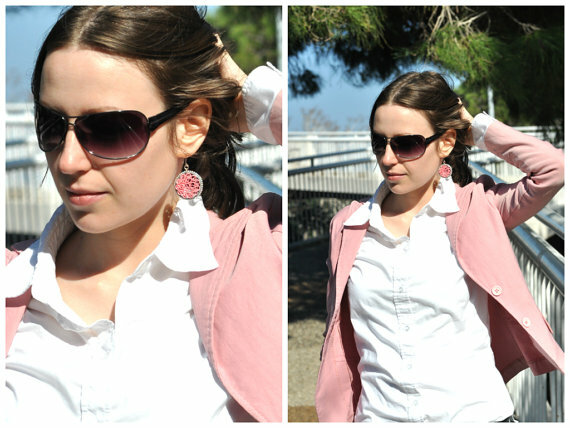 They’re eco friendly, lightweight and fashion – try to match them with pink jacket to emphasize your style.